Gabicci Vintage 'Enquirer' men's retro knitted polo cardigan in oat. 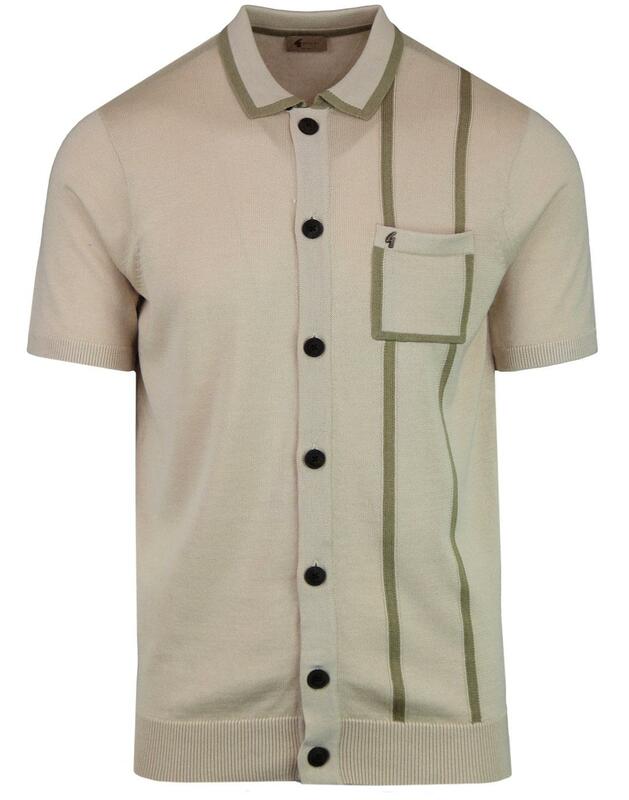 To accompany the vintage oat main body colour, a stylish 60s mod cross hatch stripe detail in brown adorns the left side of this 'Enquirer' Gabicci Vintage polo cardigan. The contrast is replicated on the mod polo collar to create a cool almost op art vibe. With the piping crossing over on to the left side chest pocket, the 'Enquirer' polo cardigan really does possess a stand out look. 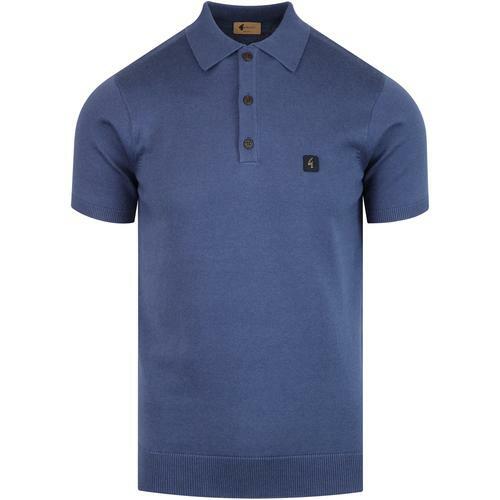 A retro clothing essential that is expertly finished with the iconic Gabicci Vintage 'G' emblem to the chest. A cool short sleeve style that will add a dashing and dapper edge to you mod summer ensemble. 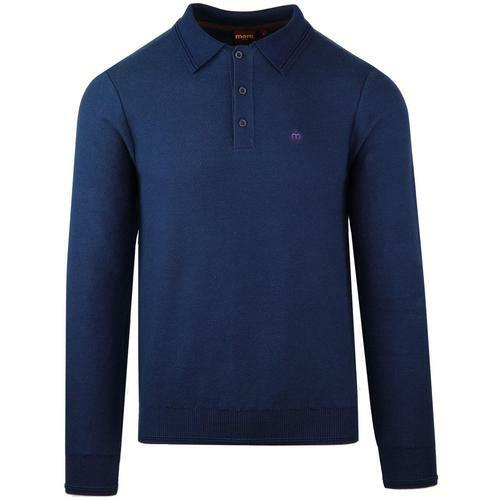 You don't need to enquire whether you'll look cool in this Gabicci Vintage knitted polo shirt, because the answer is yes, you most definitely will! - Gabicci Vintage 'Enquirer' men's retro knit polo cardigan in oat. 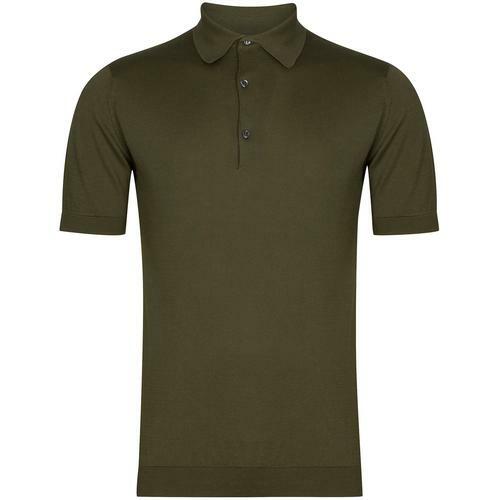 - Mod fold down polo collar with brown tipping. 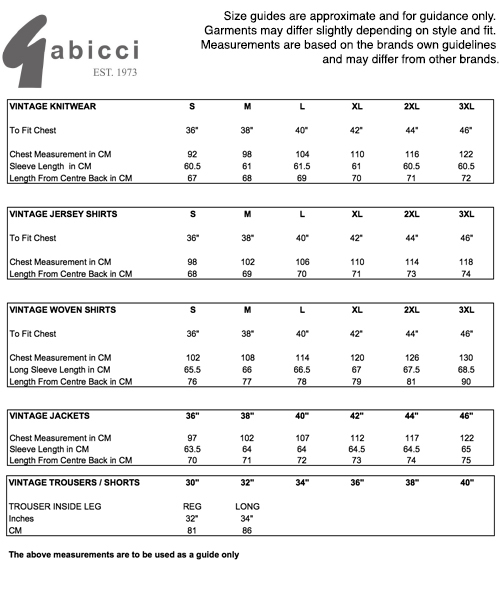 - Chest pocket detail with Gabicci 'G' signature. - Full button through style. - Retro brown piping that runs down the left side and across the edges of the chest pocket. - SKU: V40GM10 Enquirer SS Button Through Polo Cardigan.